If you are searching for a fabulous deal on quality battery service in Richardson, spend a few minutes getting to know more about the auto service specials available from Lute Riley Honda. The importance of having a quality battery in your Honda cannot be understated. In addition to the battery, the connectors, starter and alternator are also essential components in your Honda. These are the parts that are required to be in great functional condition in order for your vehicle to reliably start when you turn the key in the ignition. Nobody wants to deal with the possibility of being stranded far from home or stuck at home when you have places you need to be because of a battery issue. Scheduling periodic maintenance on your battery system with the team at Lute Riley Honda is a great way to reduce the likelihood of a major issue from developing with your vehicle. 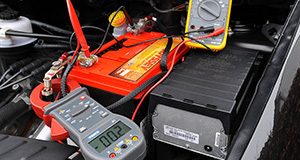 In the event that you do run into an issue with a dead battery or other similar issues, our battery service will help you to get back on the road again without delay. 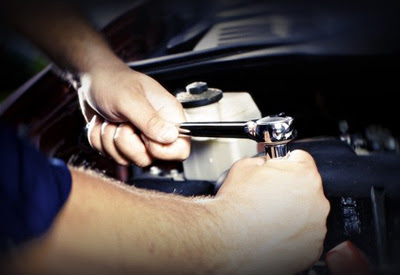 You can expect wonderful things from our courteous and hardworking service professionals at Lute Riley Honda. Regardless of how seemingly minor or major your battery service needs are today, rest assured that our team at Lute Riley Honda is eager to begin working on your vehicle. More than simply having a strong desire to please you, they also have all of the skills and on-the-job experience necessary to impress you with excellent results. In our service center, you will find a team of certified auto experts. Because they are certified, you can feel confident that your Honda is being serviced by professionals who know how to produce quality results for you. Nobody wants to deal with shoddy work on their vehicle or with having to bring their vehicle back to the shop because the work was not completed right initially. This will not be your experience when you reach out to us for battery service and other auto services. Our certified pros are also ready to provide service to the other makes and models in your garage. Our entire team at Lute Riley Honda is committed to earning your future business with each visit that you make to our Richardson area dealership. Because we value your business and strive for excellence in all that we do, we skip over the use of aftermarket parts and only choose OEM parts. With OEM parts that have been manufactured by the same providers who made the original parts in your Honda, we ensure that only superior quality products are placed in your vehicle for any type of service that we complete. While the team at Lute Riley Honda strives for excellence in the work that we do, we also want your experiences with our dealership to be as enjoyable and as convenient as possible. We have a great location in Richardson that is easy for you to reach when services are needed, and we have a simplified appointment scheduling process that makes it convenient for you to reserve the time of our pros. 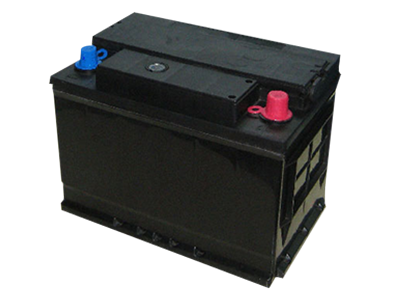 Reach out to us today to set up an appointment for battery service for your Honda.